… feel stressed and anxious about money and wish for that lottery win to help you get ahead? … feel overwhelmed by your credit card debt? … find yourself on an ’emotional spending’ treadmill and you can’t get off? … feel worried that you are not saving enough for retirement and that you just don’t seem to have enough to save any more? … feel unsure where your retirement savings are being invested and you are too afraid to ask? … feel afraid of losing all of your savings if you invest yourself? … know you are earning less than you deserve but you are fearful of speaking up? … feel you have previously taken steps to improve your financial situation but you quickly fell back into your old habits? … feel you earn a good income and anyone looking in from the outside would say you are successful – you, however harbour a deep shame over how unsuccessful you feel around your finances? Hi there ! Sorry to interrupt! Are you ready to work on your finances but don't quite know where to start? 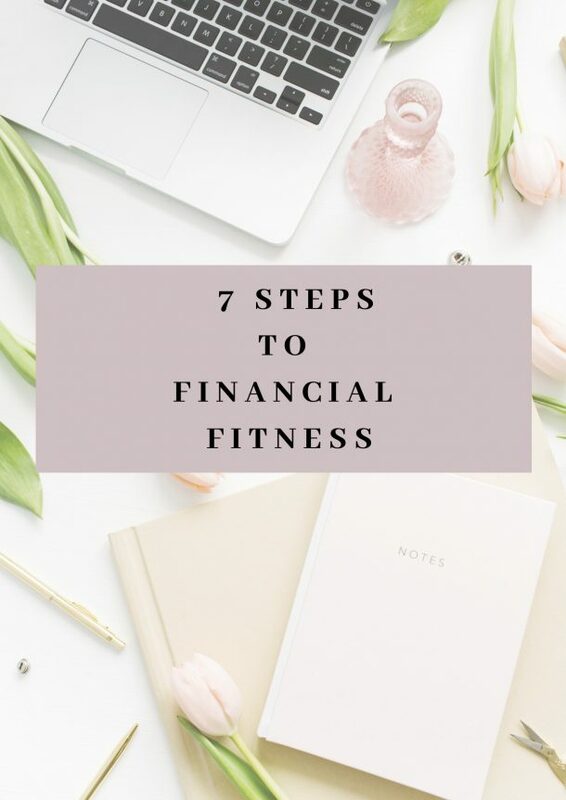 The 7 Steps to Financial Fitness Workbook lays out simple action steps to get you on top of your money situation. If you are ready to take action, grab the freebie now.